The innovators at Renzacci USA bring you the Nebula 2.0, one of our most energy-efficient dry cleaning machines designed to specifically lower costs by using dual filtration versus a traditional distillation among other key energy-saving additions. Operators of the Nebula 2.0 can be sure that they are in total control of their cycles using the Renzacci “i-Touch” touch screen control panel to adjust the machine to the precise needs of the specific fabric. The Nebula 2.0 offers the ability to choose spray (for freshen up) or immersion (for deep cleaning) in the same machine. This “Combiclean Technology” is compatible with both Hydrocarbon and GreenEarth dry cleaning fluids to give perc-alternative users the choice they want with the compactness, energy-efficiency, and performance they need. The Nebula 2.0 uses extraction cycle, and has two solvent tanks and two different filter systems. This state-of-the-art machine series is available in 30 lb, 35 lb, 45 lb and 60 lb models. – GreenEarth – The largest eco-friendly dry cleaning solution on the market, GreenEarth is a silicone based cleaning process that is sustainable and leaves clothes feeling lush and soft. – Nebula 2.0 is multisolvent; innovatively designed to accept multiple solvent types and yet at the same time manufactured with sustainability and environmental protection in mind. – It uses the Combiclean System, an exclusive system with the ability to use a combination of different washing techniques, giving the operator the flexibility to choose the best combination of dynamic action of solvent washing tailored to the needs of the garment being treated. – It uses the New DSF™ (Dynamic Saving Flow) System, reducing the power installed by over 45% and increases the energy savings by 40%. Offering unparalleled productivity and speed. The Nebula 2.0 offers compact, efficient, and reliable dry cleaning alternatives to perchloroethylene machines. 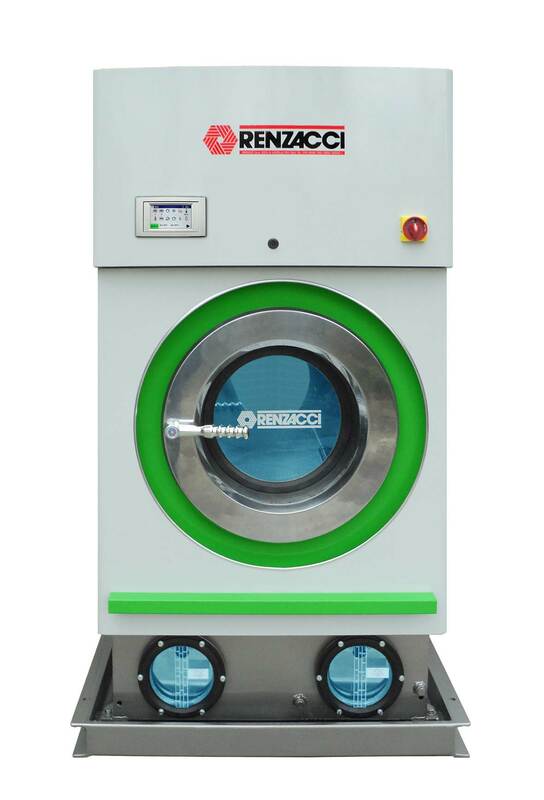 Whether you’re eyeing a hydrocarbon solvent or a GreenEarth solution, find out more information about Renzacci’s dry cleaning equipment by calling us or filling out our online form today!